Apple reportedly granted developers from big-name companies monitored access to Apple Watch at its headquarters in Cupertino, Calif., in hopes of building out a solid initial app offering when the device launches in April. Speaking on the condition of anonymity, sources told Bloomberg that representatives from Facebook, BMW, Facebook, United Continental Holdings and others spent weeks camped out at a secret Apple lab, testing to test their bite sized apps on Apple Watch hardware. The first batch of apps are expected to ship alongside the device next month. As can be expected, Apple instituted stringent security protocols to ensure secrets stayed within company walls. Sources said the rooms have no Internet access and people moving in and out of labs with test Watch hardware are prohibited from bringing in outside materials, including notepads. One person said companies had to bring in app code on a computer that stays at Apple's campus. Apple is even storing source code locally and only intends to release it to the companies closer to Apple Watch's debut. After working with Apple Watch, sources said the hardware is slow at times, especially when interacting with an iPhone via Bluetooth. It is unclear if these issues will be resolved by launch, or are indicative of what users can expect, as developers are assumedly in the midst of optimizing their software. 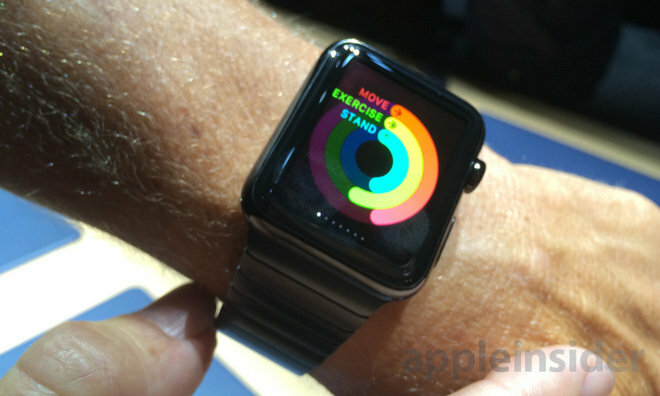 Apple is widely expected to detail Apple Watch capabilities, as well as launch apps, at a special event on March 9. AppleInsider is attending and will provide live coverage starting at 10 a.m. Pacific.